Business websites optimized for tablet computers, iPad, Samsung Galaxy, Windows Surface, and more. In our competitive business world a website needs to allow for the highest standard viewability on the largest number of both computers and devices. 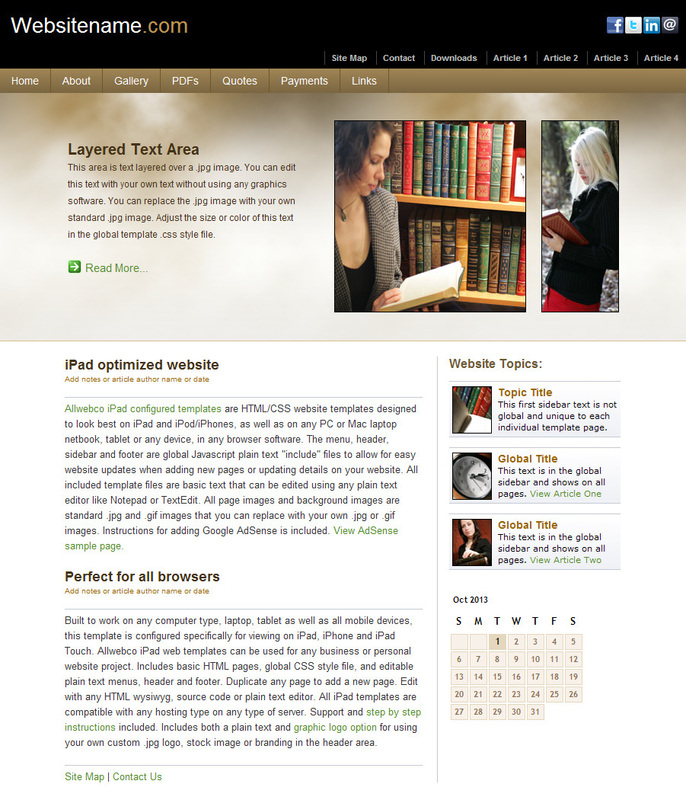 All designs on this page are specifically coded and setup as tablet and surface friendly. Each webpage includes meta tags "viewport" for "device-width" configuration on mobile, and "Cache-Control" content "max-age" to display the latest updated website information. A minimum amount of images are setup with optimal widths as well as byte count (file size) along with global css style sheets to configure design layouts, width and heights. 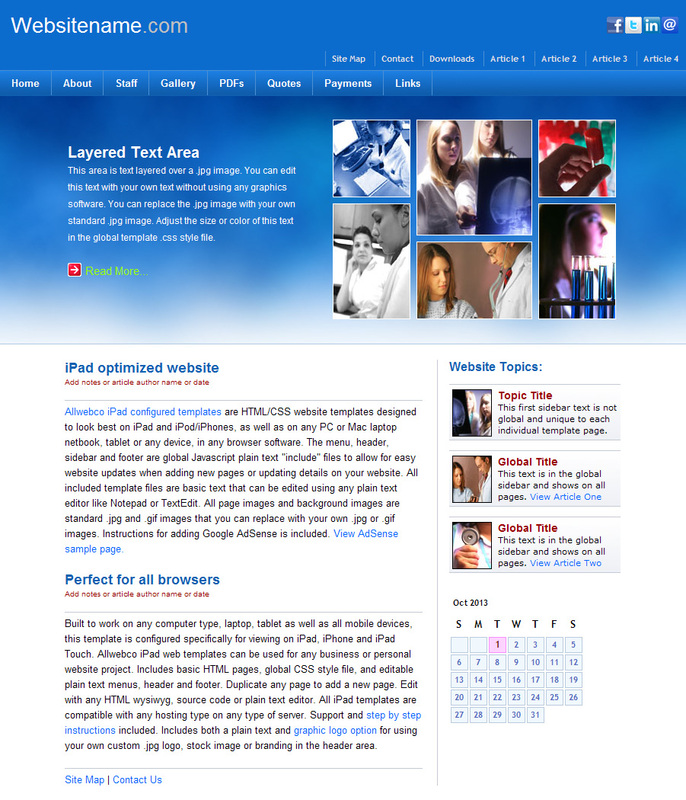 HTML5 web standards code is used in all website designs. This allows for the highest mobile device and tablet or surface compatibility. Tablet configured with stock photos included. Image theme: Computers, IT, Internet technologies, telecommunication and people and computers. 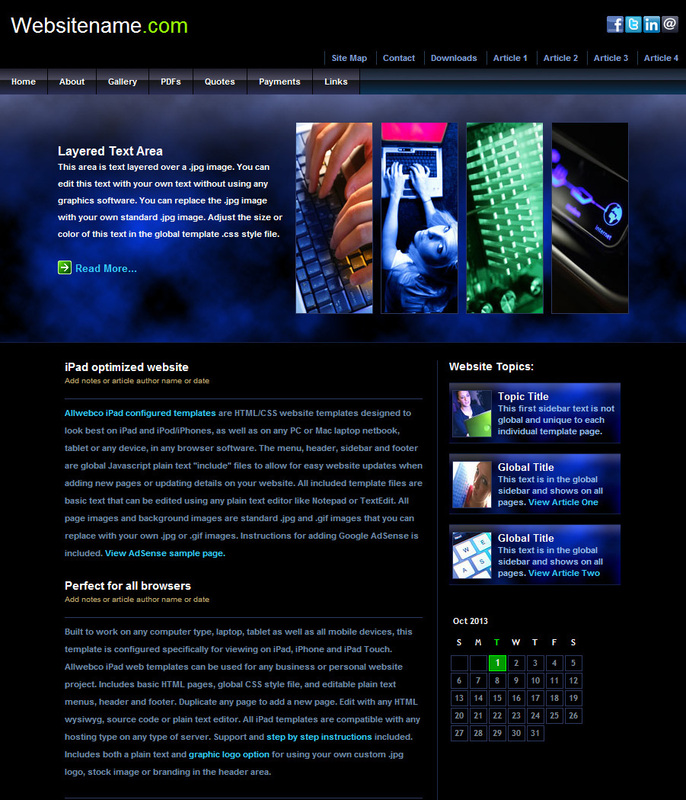 Color theme: Black & blue / cyan with multi-color images. Includes 18 pages with included multi-field quote and contact forms, Lytebox image gallery, PDF / zip file download areas and more. Tablet friendly design. Stock images are included. 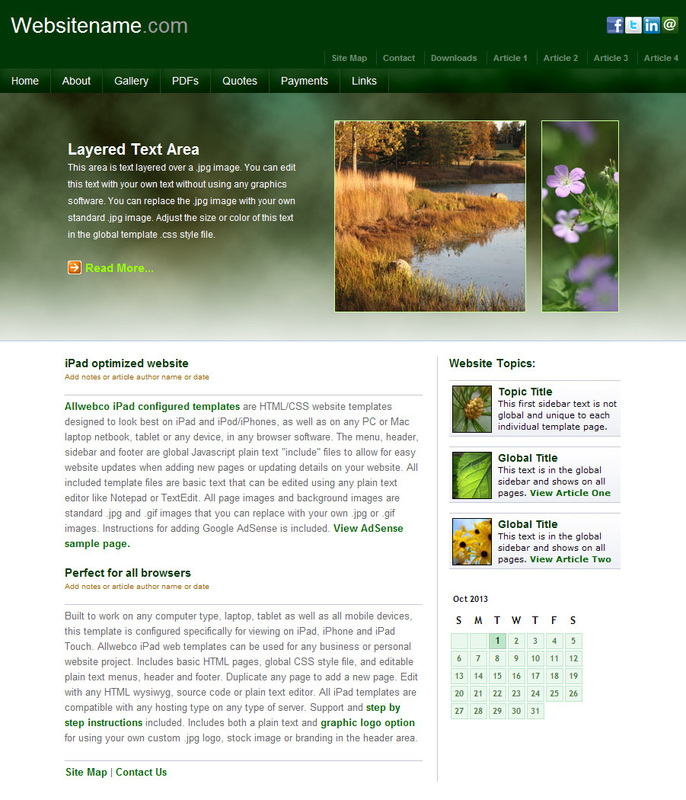 Image theme: Nature, earth, forest trees, flowers and Illinois prairie. Color theme: Green and brown earth theme. 18 pages included plus multi-field quotes and contact us web forms, Lytebox style image gallery, PDF & zip file downloads pages. Stock image theme: Medical, doctor, hospital and ambulatory care professionals. Color theme: White, blue and burgundy red highlights. Developed for optimal display on tablets, surface, iPad, iPhones, Android and other mobile devices.